Officials from the NYPD stated that 67-year-old Atlas Banks had been turning left from Coster Street onto Randall Avenue when his Freightliner tractor-trailer jumped a curb onto the sidewalk and struck a utility pole. The tractor-trailer continued to crash into a Dodge Caravan and a Ford pickup as it rolled along the sidewalk. The impact of the initial collision forced the pickup to crash into another Dodge Caravan, which then struck a Toyota Camry. Responders arrived to find Banks unconscious and immediately transported him to Lincoln Hospital, where he was tragically pronounced dead a short time later. Police stated that an unidentified passenger who was in the first Dodge Caravan that was struck had also been taken to the same hospital with back and neck pain. There were no occupants in the three other vehicles. Our deepest condolences are wholeheartedly extended to the loved ones of Atlas Banks during this tragic time. We also extend our sincere sympathies to the injured victim, as we maintain hope for their full recovery. 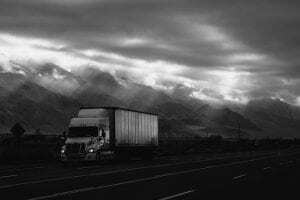 Truck accidents in New York are commonly fatal or seriously injurious due to the sheer size and power of such vehicles. While it can be very difficult, it is terribly important for bereaved families and victims to know that they may have very substantial rights at this time. At Hach & Rose, we understand that there is nothing as overwhelming the sudden loss of a family member or dealing with an unexpected injury. Our accident attorneys are here for you 24/7 to answer any questions you may have. If you have lost a loved one or suffered injuries in a New York truck accident, please do not hesitate to call 212-779-0057 today.